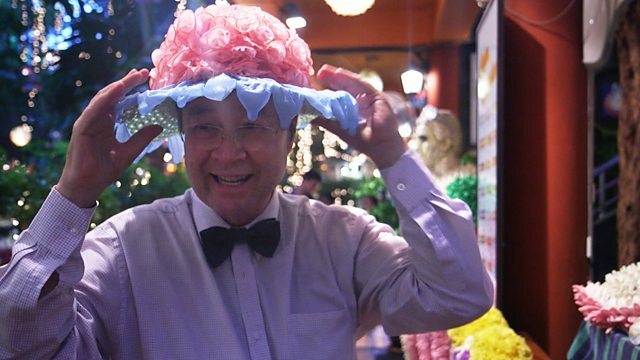 We meet Mechai Viravaidya or “Mr Condom” - a campaigner and former politician who helped bring down Thailand’s birth rate and prevent HIV, using a secret weapon - laughter. Thailand in the 1960s was on the verge of a population disaster. Thai women were having seven children on average, and the government was struggling to raise living conditions. Mechai Viravaidya, a young economist who moonlighted as a soap actor, newspaper columnist and teacher, made it his mission to get family planning into every village in Thailand - he wanted to make condoms as easily accessible as vegetables. Mechai realised he could use humour to break down Thai reservations about contraception, launching condom blowing competitions and condom beauty pageants. His efforts were so successful, condoms became known as “Mechais” in Thai, and he was nicknamed “The Condom King” or “Mr Condom”. When the HIV/Aids crisis threatened to engulf Thailand in early 1990s, Mechai, now a government minister, launched a mass media campaign promoting condom use and made condoms available everywhere, from massage parlours to bus stops. It is estimated these preventative measures saved 7.7 million lives. We find out what lessons we can learn from his 45 years of campaigning. Presented by Mai Noman. Brilliant solutions to the world’s problems.